For the second year running a Christ the King Student is the overall winner of the Harper’s Antigua Sailing Week (ASW) School Art Competition. Tiffany Dunnah’s (14) colourful poster was judged as the design that fully captured the theme of ‘Protecting our shores and seas from marine debris by eliminating single use plastic waste’. There are four categories: Overall winner Dunnah; age 14-18 winner Tequan Tavernier (17) of Antigua State College (ASC); T’Keyah Michael (13), Christ the King, winner age 9 – 13 and last year’s 5 – 8 winner Takera Joseph, Liberta Primary School, won her age group. While Selena Luwaisa,(16) of Christ the King won the People’s Choice Award – chosen by members of the public via a Facebook campaign. 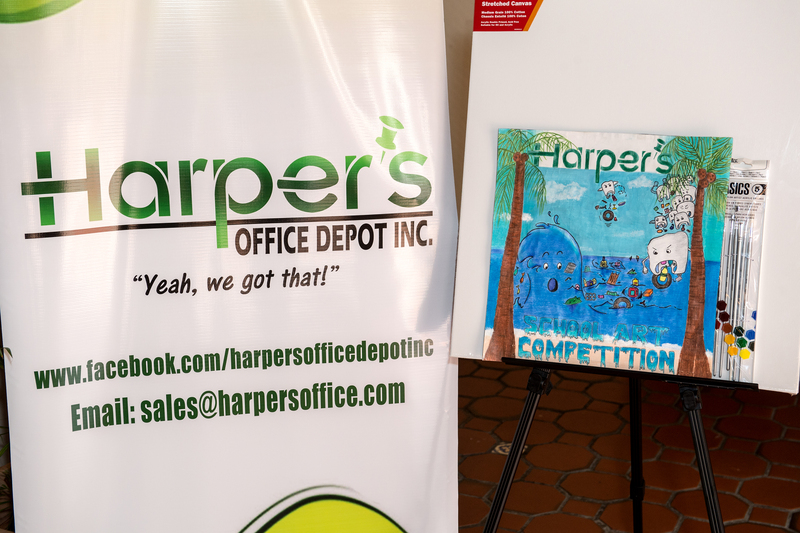 All the winners will receive prizes from the title sponsor Harper’s Office Depot and from The Goldmsitty, Colombian Emeralds, Stingray City, Adventure Antigua Eco Tour, Antigua Rainforest Zipline Tours and Sailors for the Sea. Dunnah’s design will be printed and displayed on the Welcome billboard at Cobbs Cross junction for Antigua Sailing Week 2020. The official prize giving ceremony will take place on Dockyard Day, Saturday, May 04. This is the 52nd annual school art competition started in 1968 to encourage students and the wider community to get involved and showcase their talents.